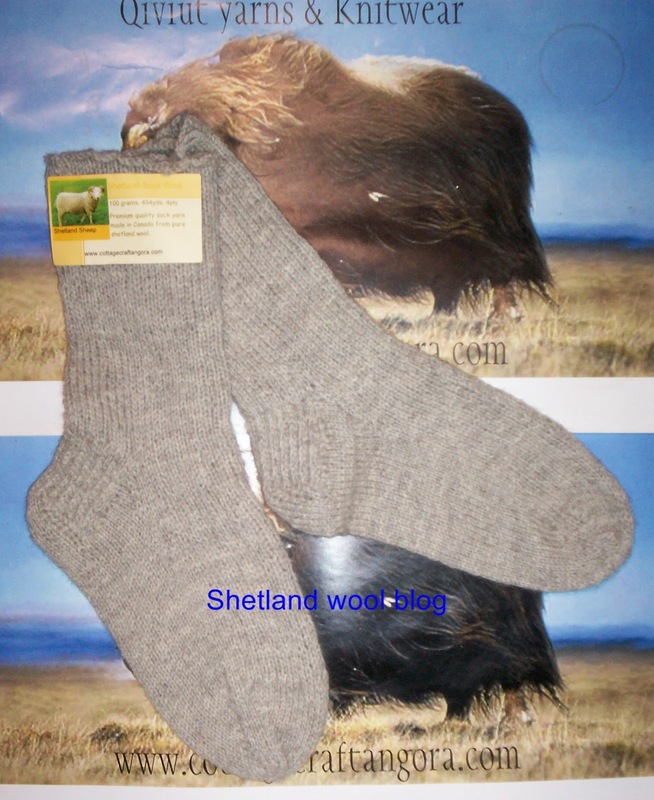 Ah..... Soft wool socks.....Thank you little Shetlands ! My 1st giveaway. 100% shetalnd wool sock yarn in natural oatmeal-ish grey. its a 4ply 100 grams with about 440 yards so plenty to knit a pair of ladies adult socks...guy type work socks will require 2 skeins. The yarn retails at $22.00 each. The socks are ribbed and very comfortable to wear all day long ! Pattern can be found here, designed by Kate Atherley and its free.... www.ravelry.com/patterns/library/basic-ribbed-socks so you can knit your own pair of socks just like mine.... the pattern is super easy and works really well with this yarn ! It's raven black and Purple ......love it. defo making a pair of socks with this colour ! I have more so if you enter and win you can have the choice of natural or handpainted ! To enter: In comments section tell us if you have ever knit with shetland wool and what did you knit/crochet hat, mitts etc. I love knitting with Shetland wool, and have made a lace shawl, lace mitts, hats and a sweater vest. Hooray! 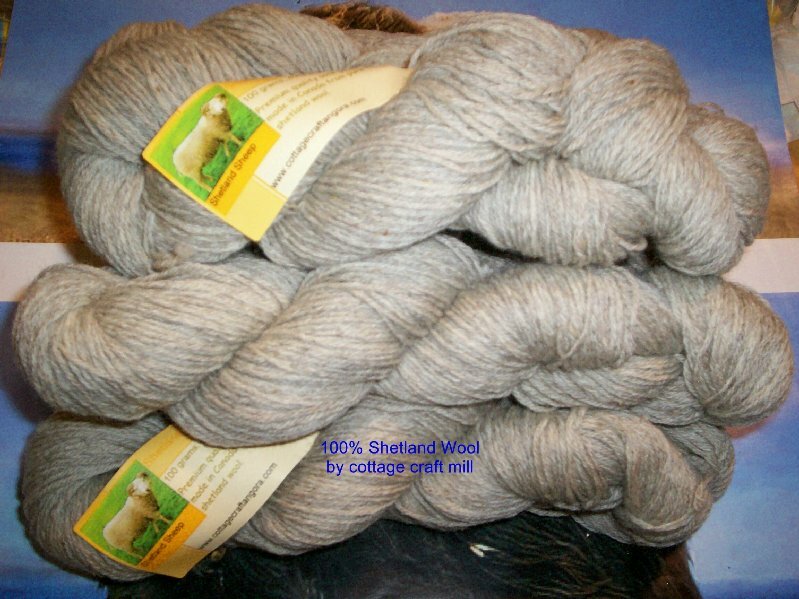 I really like Shetland wool...so much that I bought 3 little Shetland sheep of my own. They are just adorable. Love their personalities. Thanks for the give-away. I love knitting with Shetland yarn. I have knit a cowl out of Shetland and am working on a lace shawl out of handspun Shetland. I have never worked with shetland wool but I would love to crochet a pair of slippers with it. I have not yet knit with Shetland wool. I would love to knit a sweater. 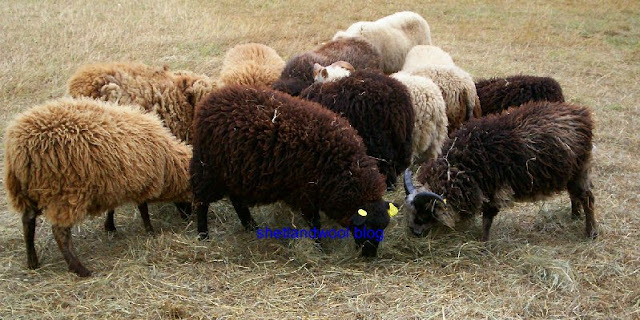 I have my own little Shetland sheep but sell most all of their fleeces before shearing each year. As a homeschooling mom I don't have the time I'd like to spin and knit, but my son has begged for a vest made from the wool of his pet wether so I need to get on that before he gets much older - and bigger! I haven't knit yet with Shetland wool, but I am excited to try it and would love to make a pair of warm, wooly socks! 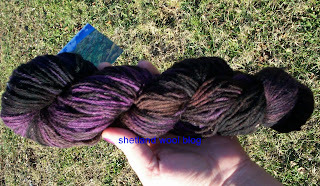 GPC you are the winner of the sock yarn...pls contact me so i can mail out your yarn......thanks for taking part ! 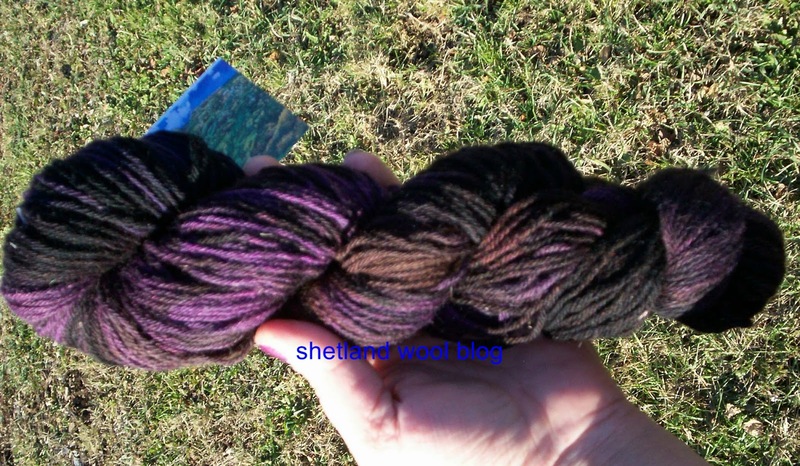 I haven't been fortunate enough to knit with Shetland wool yet, but I would love the chance to do so! Your yarn looks so lovely and warm. I have not yet crocheted with Shetland wool, but it looks like it could make a lovely scarf or shawl. I have never used this type of wool but hope I'm going to get my chance by winning! I've never knit with Shetland but the thought of it brings back pleasant memories of learning to roo them and seeing my first bald eagle flying overhead on a beautiful sunny day! I've never knit with Shetland, but there's always a first time for everything! I've never yet knitted with Shetland wool, but would love the chance to do so! It looks so lovely. Hello I just found your site. Ï would love to try your wool. I too have a small flock of Shetlands - I knit mitts, scarves, from home processed, homespun wool. I am thinking of taking fleece to a local mill to be processed to see how it turns out. I am in southwest Ontario between London and Windsor. Hi Edde, i love ontario. we are planning on moving our mill to ontario in the spring 2013. been looking at property around the Kingston area. i want to be rural but close to town.....who know's we may meet up sometime. happy shepherding !